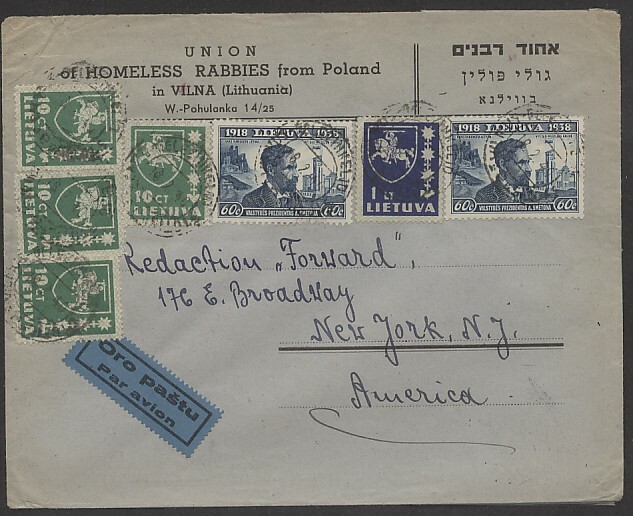 Judaica Union of homeless Rabbies from Poland in Vilna (Lithuania) - cover mailed to the USA 18.2.1940 during WW2. Some Rabbies fled Poland to Lithuania during WW2 where they were trapped by the Nazis. VF & Rare.